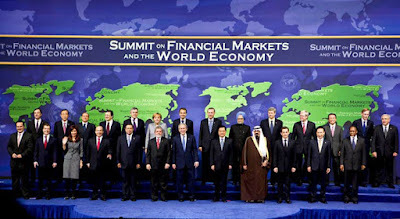 Canada to host G8 and G20 Summits in 2010 - Gateway to Canada | Canada Immigration Consultancy! Aside from the 2010 Winter Olympics, Canada will be hosting two major summits next year - the G8 Summit and the G20 Summit. "The G8 is smaller, and has a far greater set of shared values and experiences. But it is not a sufficient group to deal with major international economic issues," Prime Minister Stephen Harper told reporters after the summit. Now that China and India are among the largest economies in the world, "you're past the stage where you can deal with major economic issues with only the established developed countries," he said. Instead, the smaller group now will focus on national security and non-economic issues, while the G20 will allow China, India, Brazil and others to govern the global economy alongside the Western powers and Japan. The year 2010 is gooing to be a big year for Canada!